Have you thought of taking perfect photos with the camera on your iPhone? It can make the moment look just right with the powerful editing tools built directly into your device. Are you ready? Let’s begin our journey of editing photos on iPhone. Part 1: How to Edit Photos on iPhone via Photo App? Part 2: How to Edit Photos on iPhone via Third-Party App? Extension: How to Transfer Edited iPhone Photos from iPhone to Computer? The Photos app that has been installed on each iPhone before it comes to the market allows users to crop their photos, apply filters, remove red eye, adjust color balance and so on. Generally, we can create photo masterpieces right on our iPhone, iPad, and iPod touch. 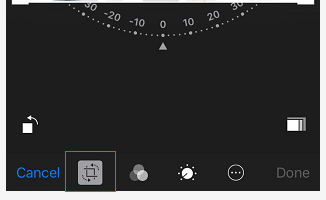 After taking photo, open it in the Photos app and tap . Then we can adjust the photo’s size, angle, light, and more. Tap Cancel button and then you can revert back to the original if you don’t like how your changes look. Following are some step-by-step instructions showing you how to edit iPhone photos. Tap to experiment with your device’s built-in photo filters. 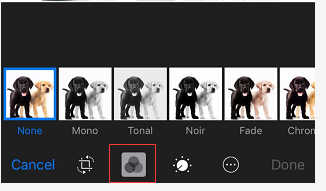 Give your photo a different color effect, such as Mono or Chrome. 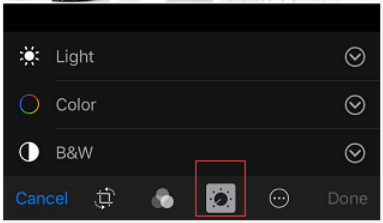 Use the smart slider to find just the right lighting, B&W and color. The functions that iPhone’s own app could provide is limited. So someone prefers to editing photos on iPhone via some third-party apps. Facetune and VSCO are the well-known apps for people to edit photo on iPhone. You do not have to use expensive and complicated tools like Photoshop to make photo the best. As a powerful tool, Facetune can provide an easy-to-use solution for people to make every photo nice, making people look like a high-fashion magazine model. You can get what you like from Facetune, including perfect smiles, beautiful skin, penetrating eyes, hair salon, reshaped facial structure, vivid makeup, photo enhancements, make arr, etc. Now you can rest assure that all your portraits show only the best version of you – whether you’ll be using them for your professional profile or simply sharing online with friends. VSCO app is a powerful all-in-one camera, editing and photo sharing app. It’s easy to use and offers high quality results. The camera includes advanced manual controls, and the photo editor has a wide selection of elegant film-like filters and essential adjustment tools. After using it, you will really discover everything you want to have: editing and sharing amazing iPhone photos. 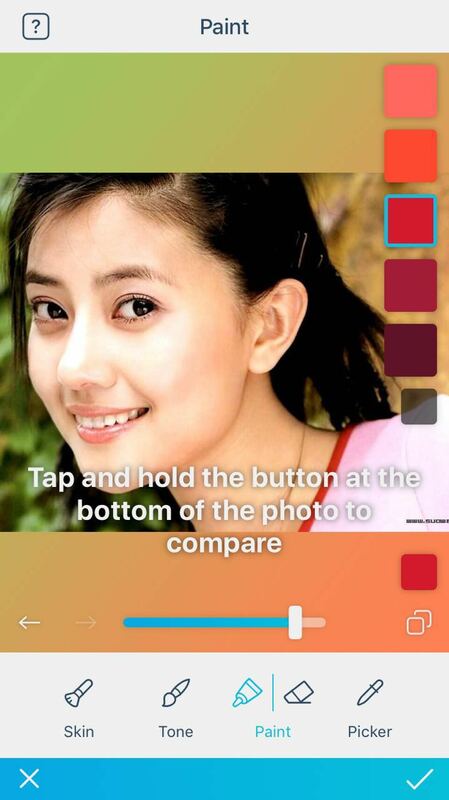 You can compare your work with the original photo at every step of the way with only one tap. VSCO offers informative graphic and video help screens for each feature. Facetune and VSCO are powerful and useful editing photo apps. What’s more, editing photos on iPhone is easy and interesting. After editing the photo, do remember to save what you have done and share your edited photos with your friends & family through social media (facebook, twitter, instagram, line, wechat, etc.) or e-mail. It is good that we can share edited iPhone photos via social media. Undoubtedly, it could not be better if we keep them in our computer. So we can transfer those edited iPhone photos from iPhone to computer for well keeping. How to transfer the edited iPhone photos from iPhone to computer? Leawo iTransfer can save you a lot of time and help you transfer your edited photos from iPhone to computer easily. Let me show you how to do it. 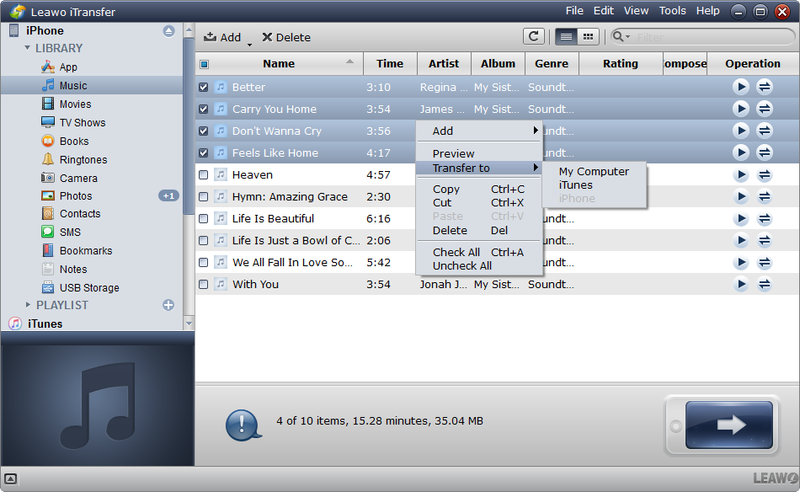 Download and install Leawo iTransfer on your computer, and kick off the program to get ready for the photos transfer process. Step 1. Connect your iPhone to computer and run the software. The software recognizes and detects iPhone instantly. Click the name of iPhone and choose a library of iPhone in the left sidebar. Step 2. Click the transfer button. 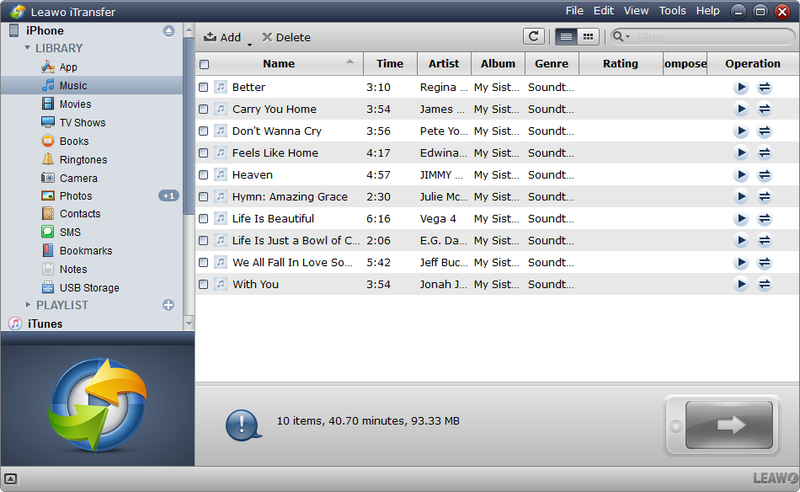 Check the square checkbox beside Name to select all files, and click the transfer button at the right bottom. Or hold Ctrl/Shift key to select certain files, and right-click the selected files and choose “Transfer to > My Computer”. Step 3. Choose target folder. 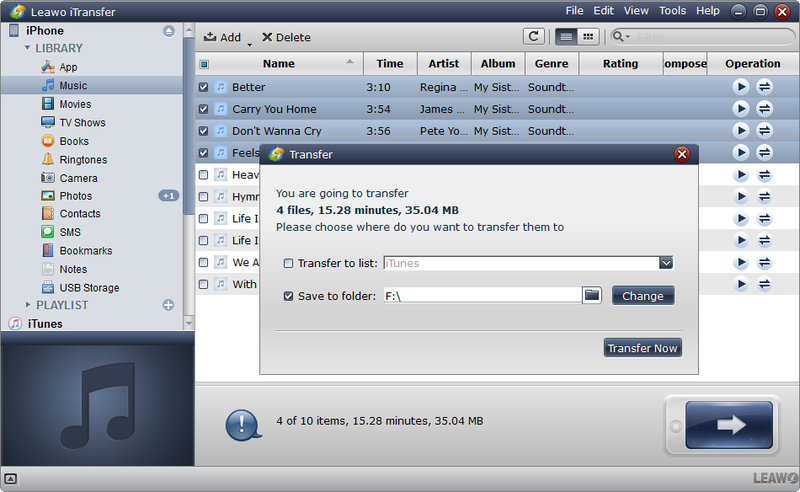 The dialog of transfer settings will pop up after the files are selected. Check “Save to Folder” and click “Change” to choose a target folder on your computer to save the files. Then click “Transfer Now” to start backing up iPhone files to computer. It sounds absolutely convenient. Now you can edit pictures on iPhone and save all of the nice photos in your computer. How wonderful!